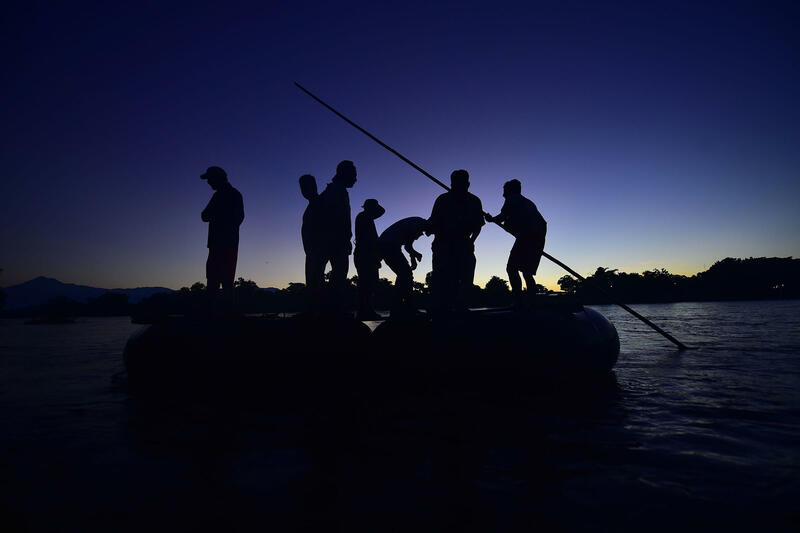 Honduran migrants arrive in Ciudad Hidalgo, Mexico, in a makeshift raft after crossing the Suchiate river, the natural border between Guatemala and Mexico on Monday. 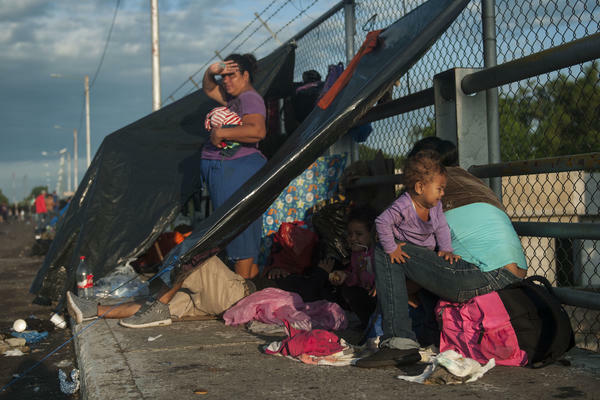 Honduran migrants start their day under improvised tents just across the border Sunday in Tecun Uman, Guatemala. 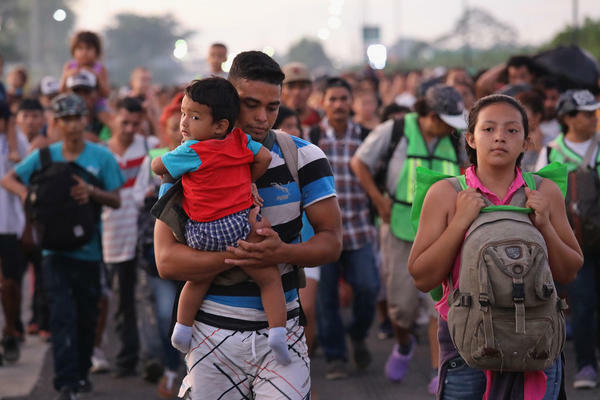 Many of the people who joined the caravan paused in Guatemala or met with Mexican officials to apply for asylum. 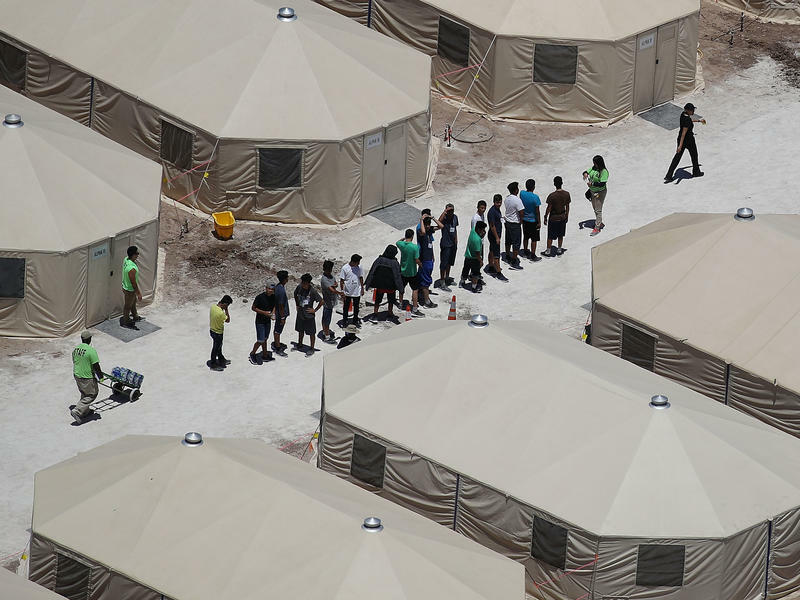 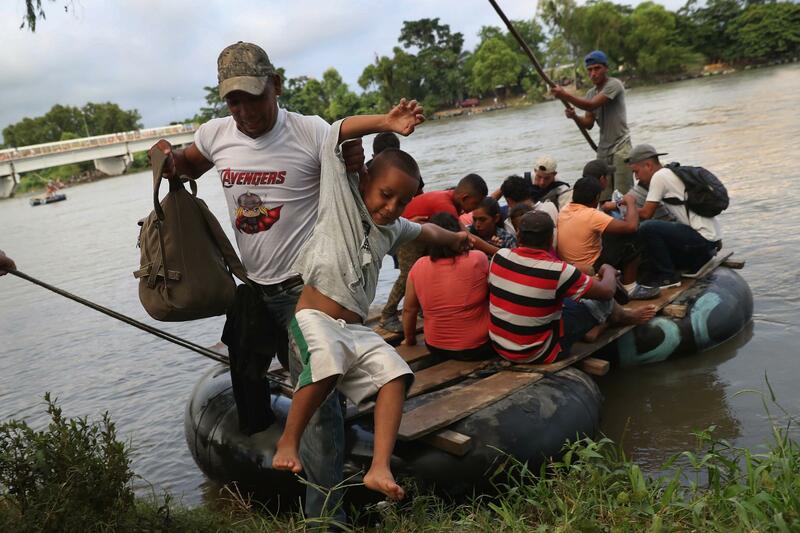 Migrant families cross into Mexico using a raft to avoid the Mexican officials perched on the bridge above the Suchiate River. A Honduran migrant attempts to cross the border fence from Ciudad Tecun Uman, Guatemala, to Ciudad Hidalgo, Mexico, on Sunday. Members of a migrant caravan carry their children on the walk deeper into Mexico after crossing the Guatemalan border Sunday. 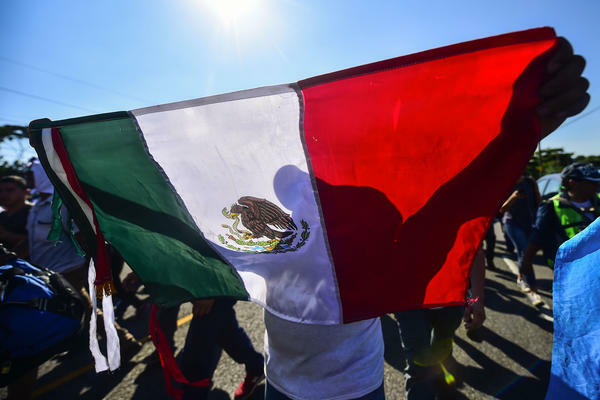 A Central American migrant holds a Mexican national flag during the trek from Ciudad Hidalgo to Tapachula on Sunday. An elevated view of the vast train of migrants Sunday near Ciudad Hidalgo, Mexico. 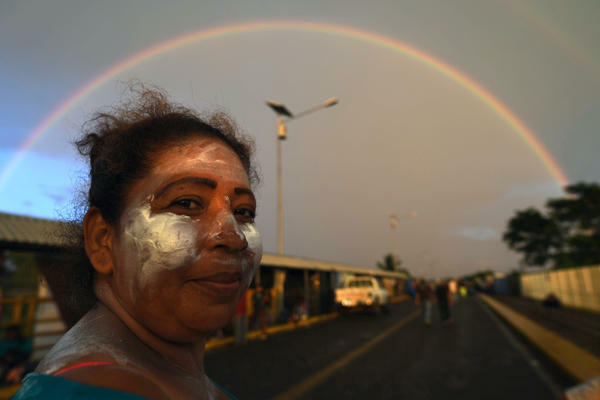 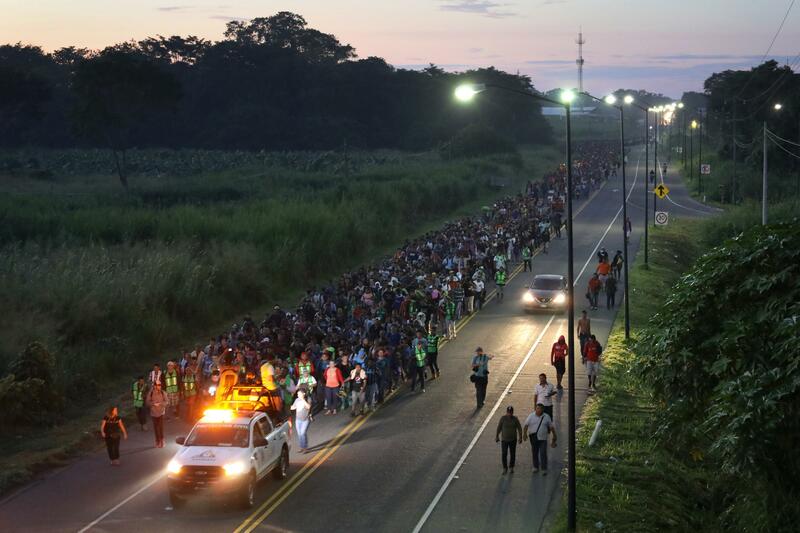 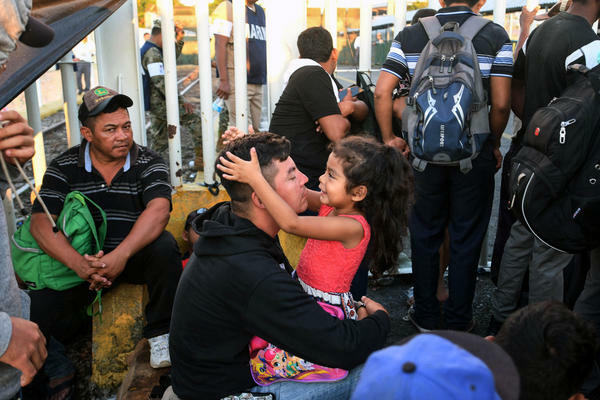 Honduran migrants arrive at dawn Monday in Ciudad Hidalgo, in Mexico's far southwest. They used a makeshift raft to cross the Suchiate River, which forms part of the natural border between Guatemala and Mexico. 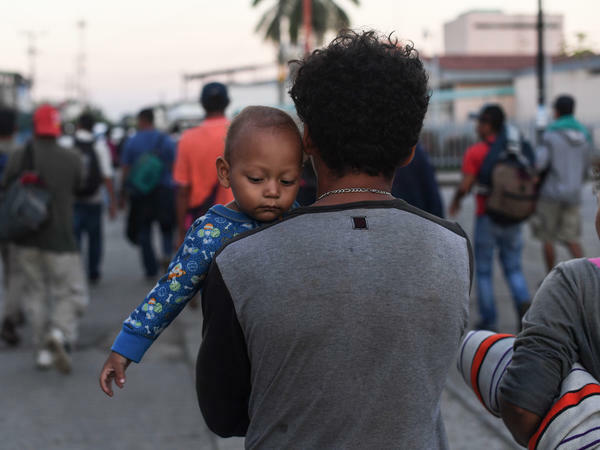 A migrant in a caravan bound for the United States carries a baby in Ciudad Hidalgo, Mexico, on Monday. 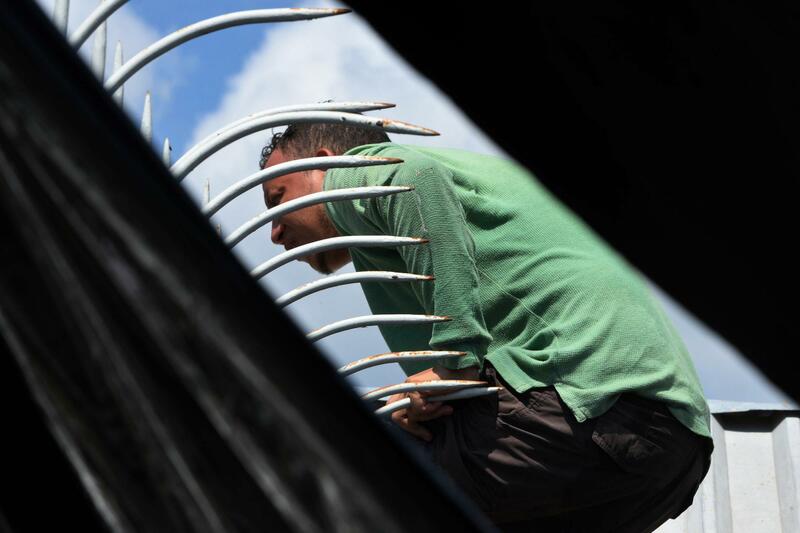 A Honduran migrant waits to cross the border from Ciudad Tecun Uman, Guatemala to Ciudad Hidalgo, Mexico, on Sunday. 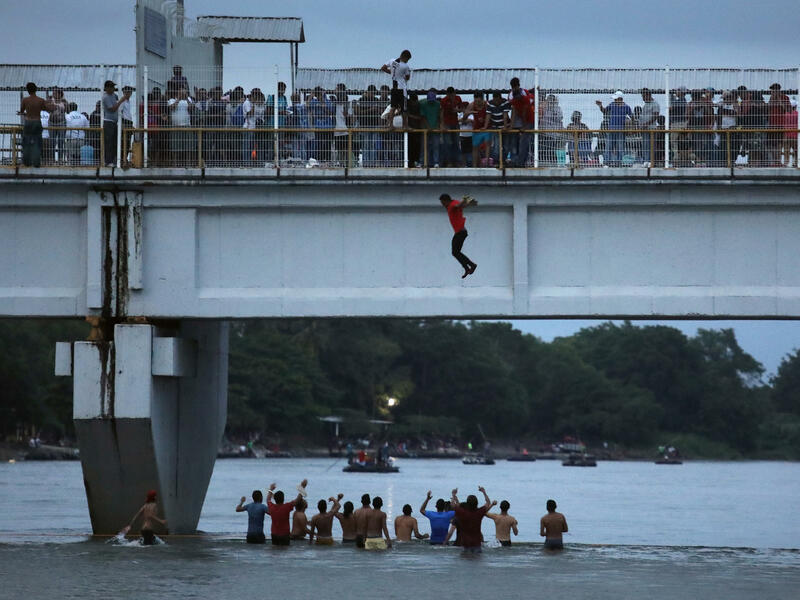 An migrant jumps off a bridge to enter Ciudad Hidalgo, Mexico, from Guatemala on Saturday.